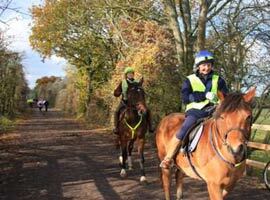 The Trailway is proving to be a great asset to horse riders in and around the route which has already been opened up as a multi user route. This multi-user track has so far proved that there is no conflict between the users, despite the views of certain people who perceived that walkers and horse riders should be segregated. Cyclists have been using public bridleways since 1968 with no problems. 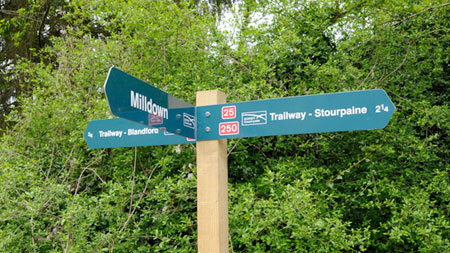 This “backbone” trail enhances routes on and off the Trailway, to join in with the local network of bridleways, with scenery to be enjoyed by all. The British Horse Society support the North Dorset Trailway 100% and look forward to the trail being extended as far as Stalbridge and onto Poole and beyond. At the moment the disused railway into Poole is segmented and in parts no horses are allowed. We continue to lobby local Councillors to encourage them to change this situation, as we can see no good reason why we cannot all enjoy the wonderful countryside of Dorset. Here are the contact details for the BHS or simply click on the image below to visit the web site.